Chambers of Commerce, Corporations, Community and Youth Organizations are nurturing The Entrepreneurial Mindset through our Launch! and World Changer Challenge! fun and learning events! 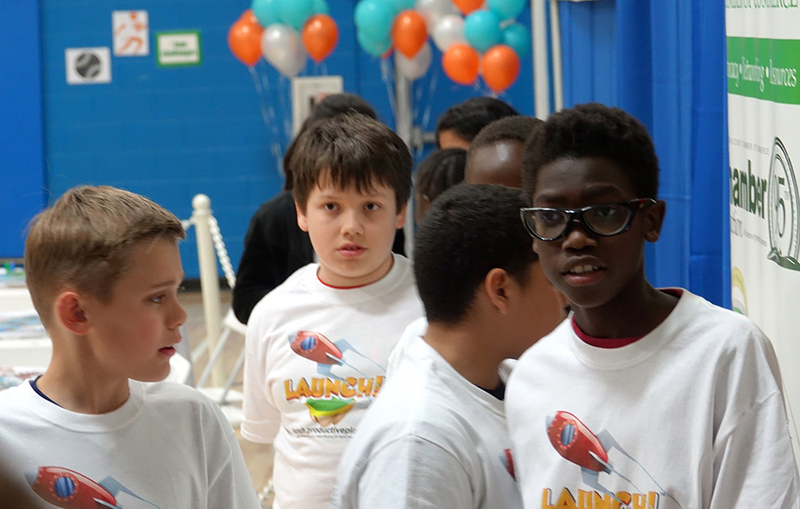 Schools are nurturing the entrepreneurial mindset by incorporating Launch! and World Changer Challenge! 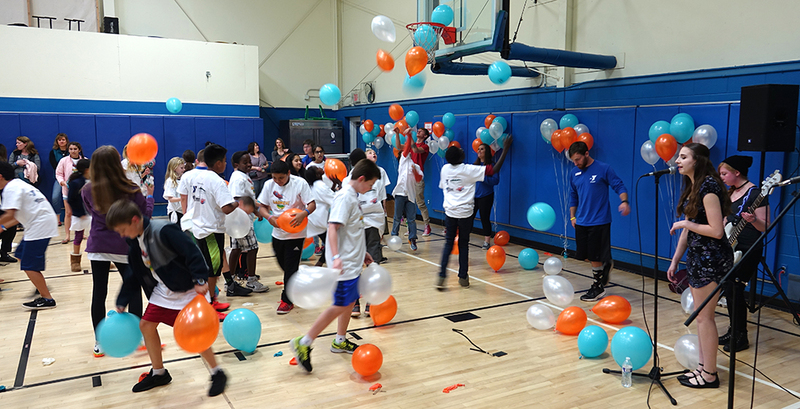 Games into after school programs, where kids learn to focus on the fun, first! The Entrepreneurial Mindset is strengthened through practice, just like any other skill, which you can foster by following our guide and starting a local Productive Play Club. Progressive schools with cutting edge curriculums understand the importance of preparing tomorrow’s leaders for a rapidly changing world. Our learning resources enhance your curriculum in a fun way. Stay tuned right here to learn about our upcoming Launch! events. Public schools, private schools, universities, YMCA’s and Chambers of Commerce are booking their Launch! events right now, you should too before it’s too late! Kids learn to discover the innovative, entrepreneurial potential of their very own creative ideas! A young entrepreneur competition where high school students compete in teams to design, test, market and build exciting new products! It’s the sixth annual National Manufacturing Day! Custom, Live Launch! Events are great fun and learning for Public and Private Middle Schools, High Schools and Universities because it helps children (even the grown up ones!) learn that you can achieve your dreams if you focus on “Finding the Fun First!”. 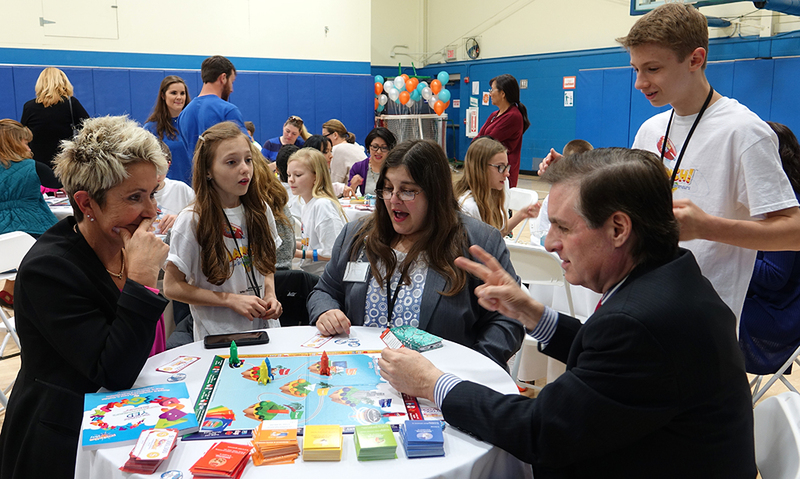 YMCAs and The Girl Scouts are finding Launch! 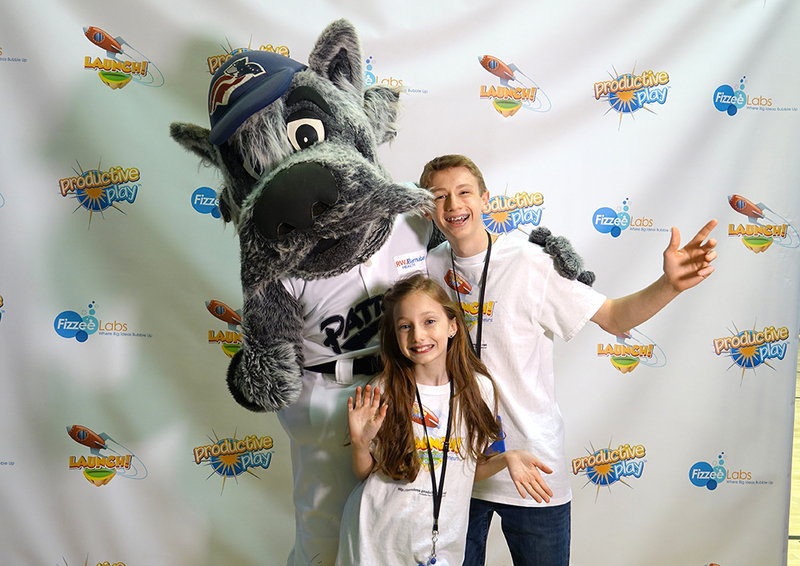 Entrepreneurial Fun & Learning Events to be a great way to help kids discover that right now is the perfect time to begin pursuing their dreams. Community Centers and Religious Organizations are finding our Launch! Entrepreneurial Fun & Learning Events to be a great way to teach children how to leverage what they love doing to be of service to their community and humanity. Forward thinking Corporations host Launch! Entrepreneurial Fun & Learning Events for employees and their families because they know they’re helping build tomorrow’s leaders. Mastering The Entrepreneurial Mindset Doesn’t Have To Be Hard To Do…Here’s How! Joey began his entrepreneurial career when he was 5 years old. 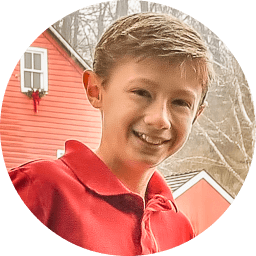 By age 9, Joey created 2 mobile apps, achieved sales and downloads in more than 50 countries, and has been featured in Inc. Magazine, Entrepreneur Magazine, Fast Company and Parents Magazine…and he’s still just 14! 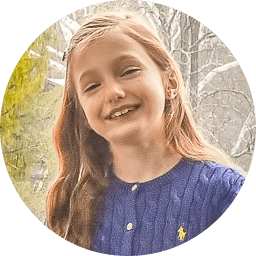 Heidi began her entrepreneurial career when she was just 4 years old, designing her own fashion clothing line for her 18” dolls. By 5 years old, Heidi wrote her first book. Today Heidi is Productive Play’s Chief Fun Officer, combining her love of fashion with her love of play, to make sure everything we create is Fun! Joe & Lora are Joey and Heidi’s top employees (and their parents too :). 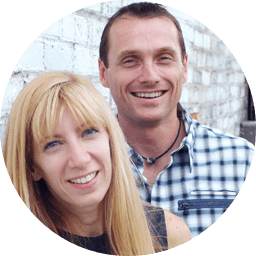 Today, Joe and Lora leverage their history of small business experience serving large businesses and even National Governments, as well their thought leadership as award winning speakers and published authors, transforming that experience into learning that kids can leverage, today and forever! Together, Joey, Heidi, Joe and Lora founded Productive Play, LLC to provide fun educational games like Launch!, books like The Original Young Entrepreneur’s Dictionary and other resources that help families have amazing family time, while unleashing their entrepreneurial super powers – Creativity, Confidence, Communication and Collaboration. Today, this family team teaches families around the world that we can all benefit from an entrepreneurial mindset, no matter what we choose to do in life. Innovation produces magical results but it is not magic. We expect students to learn creativity through writing, painting and the performing arts. That is not enough to build creative problem solving skills needed by the professions - we can and must do better. The Hunterdon County Chamber of Commerce was very proud to honor Joey Hudicka and Heidi Hudicka as our 2016 Amazing Kids in Business, which was part of our Annual Hunterdon County Business Awards. Heidi and Joey both exemplify the true spirit of entrepreneurism, which is truly contagious when you speak to them. Their story of success at such a young age, demonstrated by launching their own business, which in turns inspires other future entrepreneurs is an incredible achievement. 3D Printlife is thrilled to be a part of Joey and Heidi's creation. "Launch!" sends a truly powerful message to kids, that they can achieve anything by pursuing their dreams. We are so proud that Joey and Heidi are also including sustainability in that message by using our eco-friendly 3d filaments to create their game pieces. Owning and operating a business requires so many positive attributes: creativity, vision, determination, the ability to adapt quickly to the unexpected, and belief in yourself. We can't think of a more inspiring message to deliver to children everywhere, and we are so happy to be a small part of it. Outstanding job guys! "Through games and programs like Launch! and Productive Play, they teach parents and teachers how to help kids develop their dreams, and bring those dreams to life. Students learn to take self-directed initiative and create value to make the world a better place." “Finally! This LAUNCH! 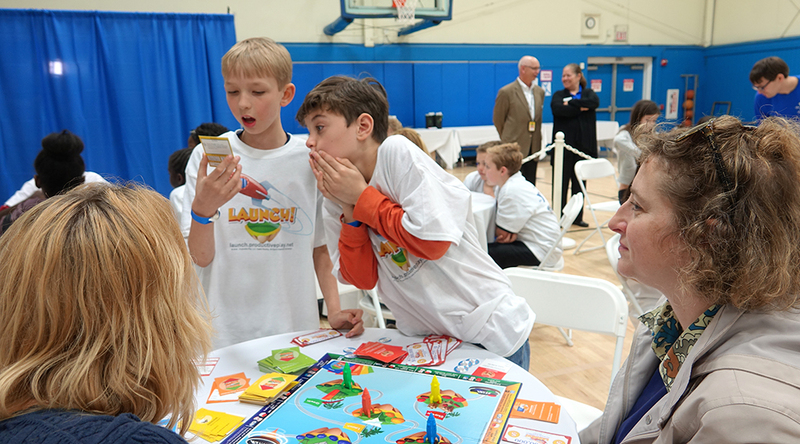 game allows us to teach kids how business, entrepreneurship and innovation really work to make a profit and impact!”. Joey and Heidi's work in developing the Launch! game is reflective of the innovation possible when applying a hands-on iterative design process approach in creative development. Great ideas, and great products, are born less from the eureka moment, and more so from a deliberate process of applied learning through testing, the embracing of failure as a means of problem solving, thoughtful reflection and deliberate modification. Their work in developing this unique game is a wonderful example of the cross-section between design, entrepreneurship and the values of the maker movement in creating innovative products and disruptive services. 3D printing DigiFab labs, like the MIX Lab at Montclair State University have the ability to take ideas from amazing young minds like Heidi and Joey, and make them a reality. 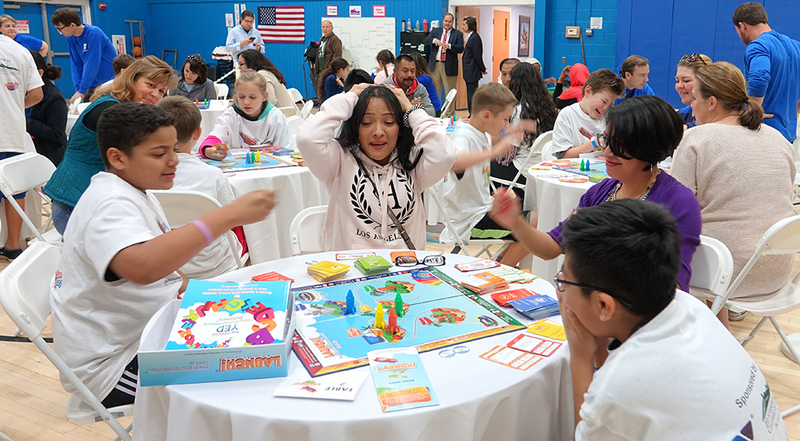 Prototyping and testing workable solutions for their Rocket game pieces until a usable solution that intersects with their vision is an example of what is possible for motivated young entrepreneurs everywhere. NJMEP is happy to be a part of promoting young people getting involved in STEM-related businesses. Joey and Heidi's experience is a great example of the power of the Made in NJ Program Network to connect people to business opportunities. NJMEP couldn't be happier to see that our Made in NJ Program Network helped Joey and Heidi fulfill their goal to manufacture locally, proving time and time again that NJ can make just about anything! May 3, 2015 Does the amount of time we spend with our kids really make a difference?